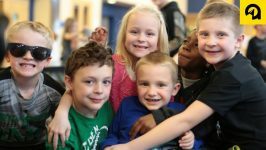 Family Wellness is a non-profit organization whose mission is to inspire healthy lifestyles by connecting people in a fun environment. 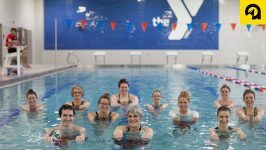 This 80,000-square-foot fitness and wellness facility in Fargo, North Dakota combines the missions of Sanford Health and the YMCA of Cass and Clay Counties to actualize a vision where health and healing connect with people, programs and facilities. Absolute Marketing Group and Family Wellness have a longstanding relationship as Absolute has helped build the Family Wellness brand since the organization’s start. “Absolute has been an integral partner in helping Family Wellness establish its identity as a non-profit community health and wellness organization. From our opening, through building the brand and letting the community know who Family Wellness is, the Absolute team has helped us to deliver our mission; ‘To inspire healthy lifestyles by connecting people in a fun environment’. Absolute has also helped us to illustrate the partnership that is vital to our success, the YMCA and Sanford Health partnership,” said Johnson. 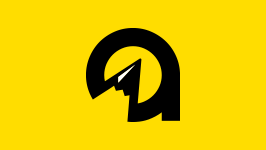 “We have been very satisfied with the creative services that Absolute has brought to us! From brand standards, company story, advertisements, posters, brochures, website and videos, the team has lived up to their name ‘Absolutely,’” said Johnson. If your business needs help building or maintaining a loyal customer base, give us a call at 701-478-1111 and ask to speak with a Marketing Advisor, or visit absolutemg.com/contact. We would be happy to help.